Right now on Amazon you can purchase the Tiny Love Gymini Move and Play Activity Gym for only $48.19 (regularly $74.99) plus receive FREE Super Saver Shipping! 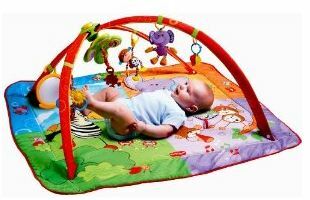 This is a great Activity Gym for your little one and the mat gives baby plenty of room. Plus the lights and music are sure to entertain!